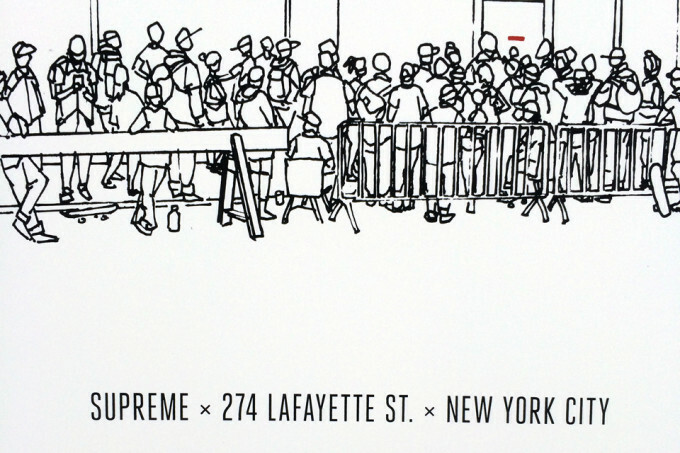 As the indisputable epicenter of streetwear gear, Supreme’s SoHo flagship store has become an iconic fixture in the landscape of New York City retail. 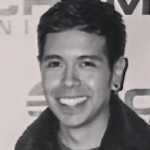 For years, people from all over the globe have flocked to the space in an attempt to get their hands on some of the world’s most highly coveted threads from the NYC-based brand. 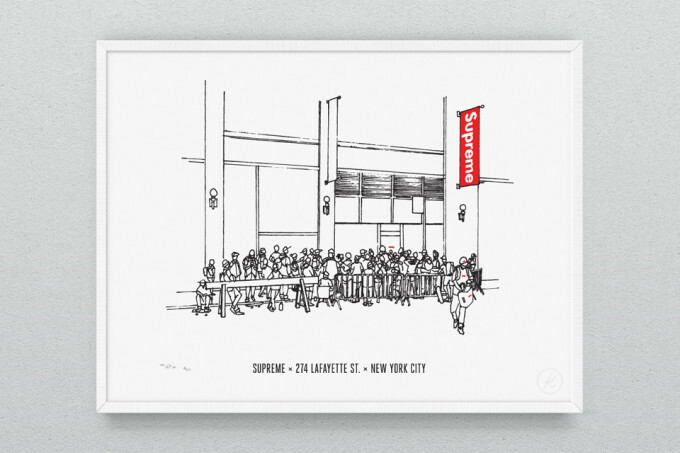 To celebrate its significance, design studio Knowlita has released a limited-edition art print that features a large crowd waiting outside of the Supreme flagship on Lafayette St. It’s a familiar sight for a store famous for its weekly drops. 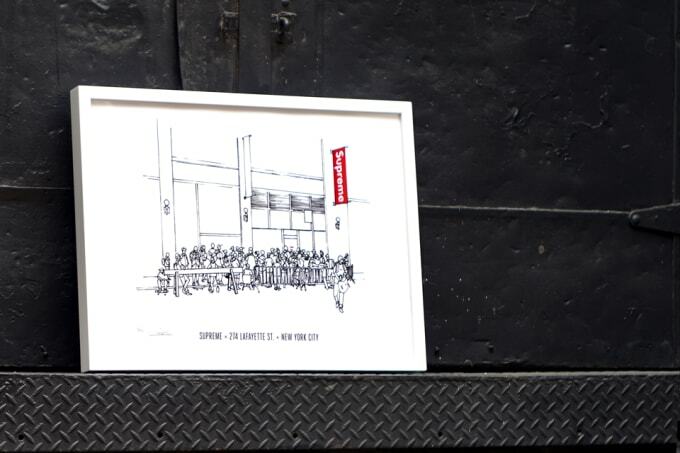 Illustrated by artist Massimo Monigardo, the 18” x 24” piece is part of Knowlita’s ongoing series that honors its favorite establishments in downtown NYC. 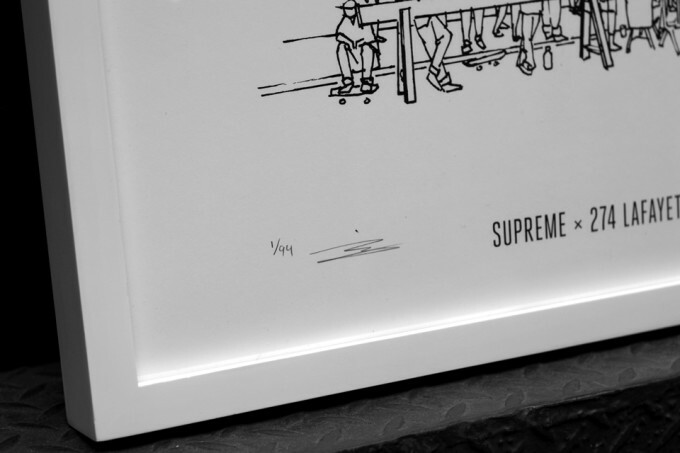 The Supreme print is the eighth addition to the collection and the first clothing store to be featured in the project. 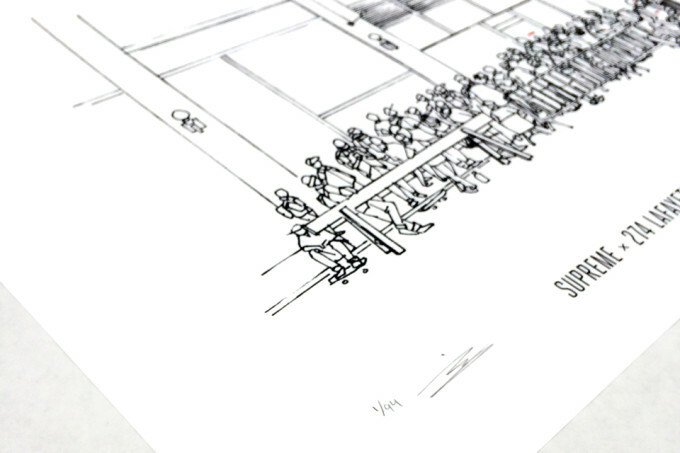 Printed by hand with water-based inks on long-lasting cover stock, the art is limited to 94 pieces, which are available at Knowlita’s online store for $100.